Sales, customer and services teams write a new narrative analyzing their data with Qlik. The saying has existed for years and you’ve probably heard it before “the future is digital”. Every year it seems we get a little closer but there are still parts of society that have yet to fully embrace the movement (election voting centers, the department of motor vehicles). Instead, those who have adapted through digital (grocery store home delivery, movie ticket mobile sales) are keeping pace and continue to grow their business. DocuSign firmly believes in the power of digital when it comes to transactions. Electronic signatures and transaction management have changed how contracts get signed: whether it’s a grade school permission slip or a multi-million dollar sales deal. Progress is key to maintaining that forward momentum, but DocuSign’s Senior Director of Business Intelligence Rob Parker noticed that the organization needed a 360° view of their customer base. 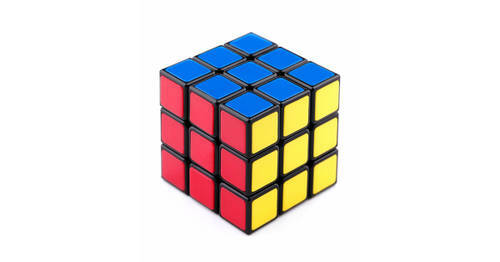 Right from the outset, Rob knew that things were going to be different with Qlik. The three biggest issues that Rob identified early on were incomplete data, unreliable data that was difficult to access and a lack of insight that caused DocuSign to lose business. How does @DocuSign deliver it's data to the people? 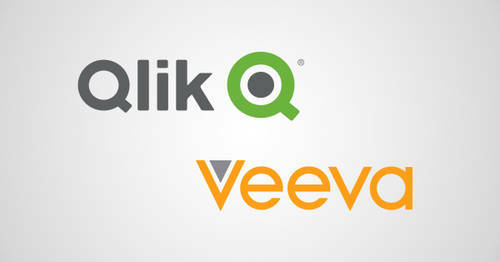 With #Qlik of course! The sales team, in addition to the customer success team and professional services team started using Qlik to access CRM, product usage and billing data all from the same dashboards that were telling the same story. The most immediate impact came from the Salesforce DocuSign Usage Dashboard, which was embedded directly into Salesforce. 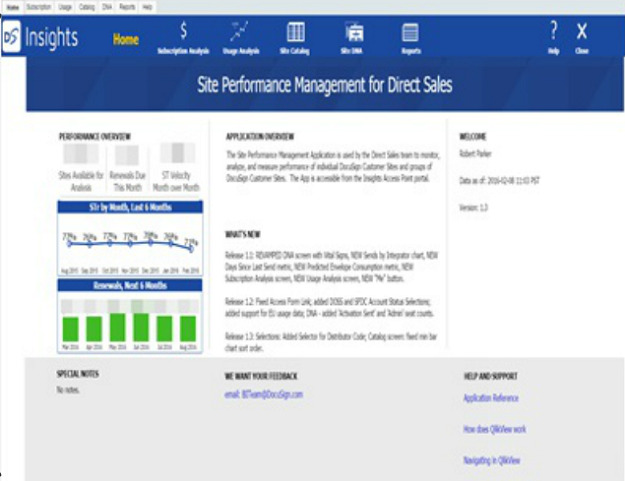 Another marquee example is the Site Performance Management App, delivered via AccessPoint. It includes seven screens and displays subscription health, product usage and customer performance – featuring the entire worldwide customer base. 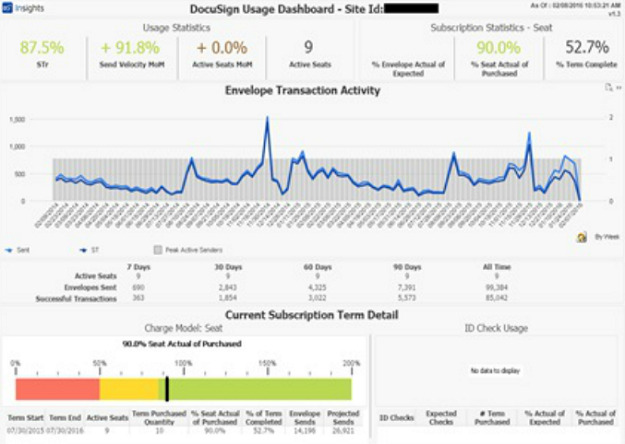 It’s only been one year into DocuSign’s tenure with Qlik, but now that the company is able to make data-driven decisions – more requests have come in for apps. On the roadmap for 2016 are customer service case analysis, lead source tracking and embedding Qlik in the company’s customer success tools. 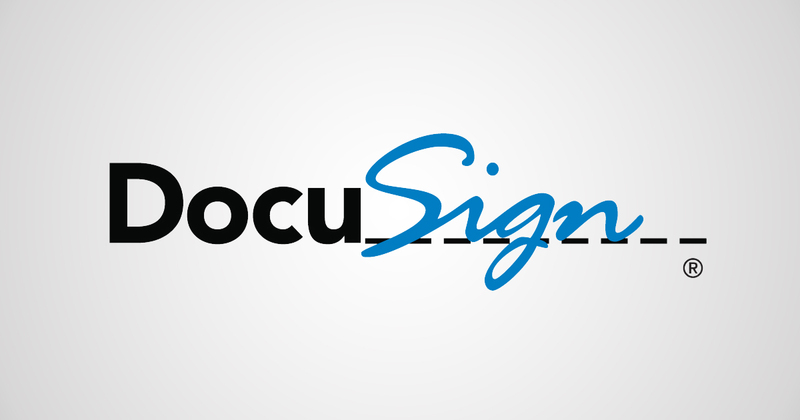 Further practicing what they preach: DocuSign’s future is digital.